This course consists of a post-test based upon reading the text. There is no online material to read. After you pass the post-test, you may print out your own certificate. maintains responsibility for the program. register for the course (order on-line or call toll-free 888-777-3773), after which you will receive the Post-Test. Upon passing the test, print out your own certificate of completion. Marie-Louise von Franz, Ph.D. (1915-1998), worked closely with Jung from 1934 until his death in 1961. "...there were those who hailed her as the queen of Jungian psychology. 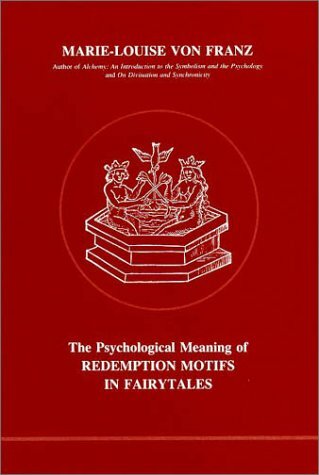 She was an expert on fairy tales who had been both Carl Gustav Jung's most brilliant and inspired disciple and the one who had done the most to illuminate the flame since his death in 1961. Known as a compassionate and effective analyst who interpreted more than 65,000 dreams, she lectured widely in the United States and elsewhere, all the while insisting that the goal of the Jungian thought was not to become a Jungian but one's own unique self. For Dr. von Franz, the process of individuation, Jung's term for finding and embracing oneself, was a lifelong pursuit.